In what could be characterized as a double standard, the City of Elk Grove seemingly is unwilling to comply with codes it imposes on private property owners, especially when it comes to removing debris and rubbish on a taxpayer-owned parcel in the community. Alerted by a vigilant resident, a visit to parcels owned by the city on the far south side of Elk Grove reveals an abandoned house strewn with debris and garbage. The parcels are on the 7900-8000 blocks of Kammerer Road, just east of Bruceville Road. An Elk Grove News reader who asked not to be identified said to their knowledge the debris has been on the parcel of the abandoned dwelling for at least two weeks as of Monday, March 18, 2019. 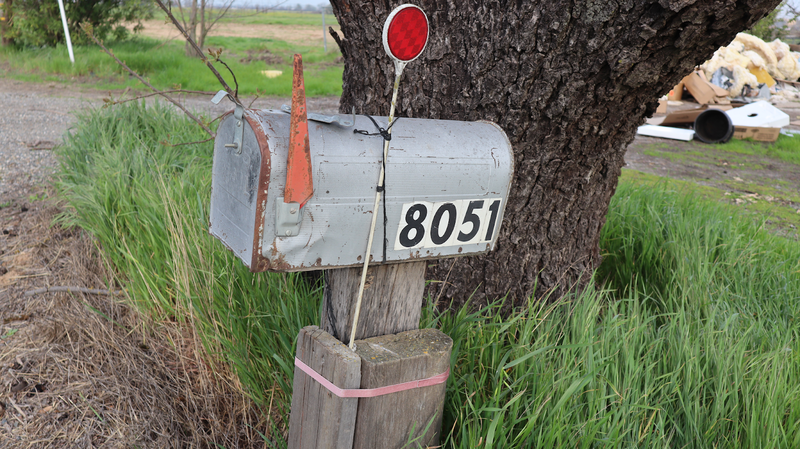 When a resident displays similar debris on their property the city of Elk Grove frequently initiates code enforcement actions according to their classification of Title 16 of the city's municipal code that could include fines if left unaddressed by the property owner. According to information posted on the Sacramento County Tax Assessors website, the parcels at 8051 and 7909 Kammerer Road are owned by the city. Although it has not been verified, it is believed the parcels were purchased to facilitate the city's long-sought Kammerer Road widening project. Elk Grove city manager Jason Behrmann did not respond to an email inquiry questioning why the city has not cleaned the junk and debris, nor if they have any plans to address the situation. More information on how the city enforces code violations and assesses fines is in Title 1 and 16 of the municipal code. The video below displays images of the debris-strewn taxpayer owned parcels and information on ownership from the Sacramento County Tax Assessors office. UPDATED March 20, 3 p.m. In an email sent at 1:24 p.m. today, Elk Grove public works director Robert Murdoch said the debris would be removed by the end of this week, access to the parcels will be restricted, and city staff will regularly monitor the area. Murdoch said if debris or nuisances identified here or anywhere in the community can be reported to the public works service line at 916-687-3005.